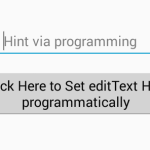 Set image into editText on button click via MainActivity.java file. 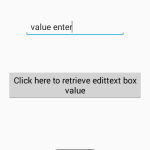 Edittext inside image can also be set through dynamically assignment process this feature are called as setting up edittext image at edittext. 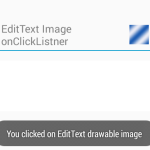 After Setting up this image application user an set on click event on so each and every time when user clicks on it, it will open a new activity, alert dialog box, sticker window, smiley screen. 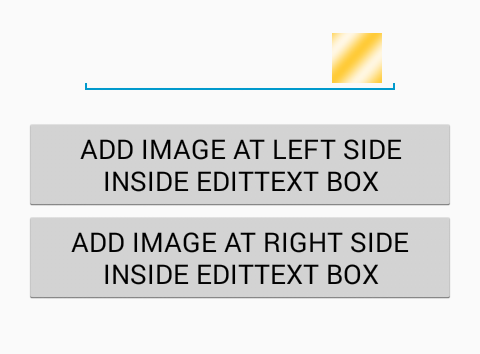 So here is the complete step by step tutorial for Add image icon inside edittext android programmatically. 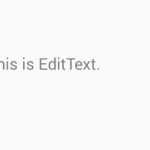 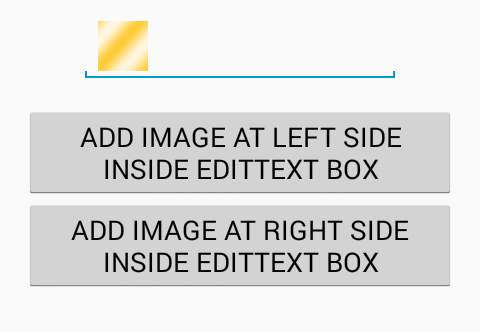 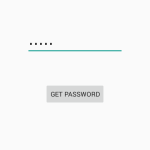 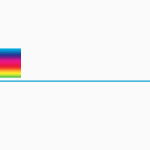 How to Add image icon inside EditText android programmatically. 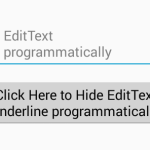 Click Here To Download Add image icon inside EditText android programmatically project.